Hey hey lovely listeners! 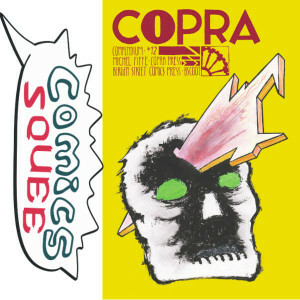 Welcome to Issue 31 of Comics Squee. Our super powers, as they ever were, are tangents and tentacles. 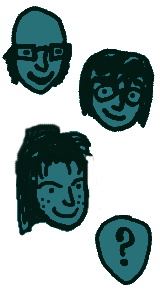 Each podcast I’m joined by my merry squeesters, April Taie, leader of the Geek Girls in San Diego, and John Oliver, a dark fantasy author. Each show we’re joined by a different guest to discuss the comics and general sequential art geekery that excites us. THIS show, though, is a little different. Future us are having a bit of a holiday this month via a Best Of The Squee, part 2. Last show we shared with you our favorite squees of 2014. Our goal is to recommend great books to you, hopefully ones you’ve never heard of. But sometimes our guests end up recommending books to US. Like every time Alex de Campi joins us, as she’ll be doing again in two months. 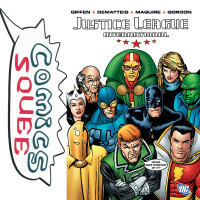 So here’s a quick look at all the squees and tangents from 2014 that send The Squee scurrying to the comic shop. From show 8, Alex’s first appearance on The Squee. 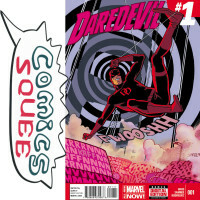 In one of many tangents, she recommended Daredevil as written by Mark Wade to us based on Chriss’ squee about Captain Marvel. The same spirit of return to superhero tales being ones of heroism and fun and humor being found in both Kelly Sue deConnick’s work and in Wade’s. Also from show 8, Alex’s recommendation of Wade’s Daredevil run segued into the JLI. This is the series that took a lot of second string DC heroes and made people care about them. It’s the title that will give you an opinion on your favorite Green Lantern even if you’ve never had an opinion on one of them before. And it has one of Batman’s best moments ever. 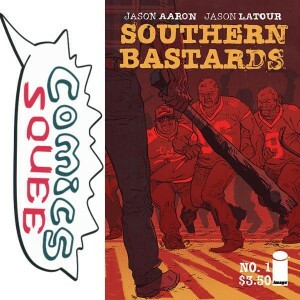 Cullen joined us in 2014 to squee about his favorite book going at the time, which featured his dream team of artist and writer combo of Jason Aaron and Jason Latour. The tale of a hard man come back to his old homestead to clean up and sell off the property after his father’s death. But he gets embroiled in the town’s shenanigans lead by Coach Boss and his football team hooligan thugs. Great art and some of that magic realism of a Southern setting. 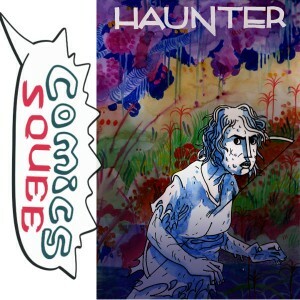 Comics journalist Erin Polgreen squeed about beautiful silent, and cross-platform, comic Haunter by Sam Alden when she took our revolving 4th chair. This sneakily post-apocalyptic tale starts with a lone female hunter chasing a boar, which leads her to an old temple where she accidentally awakens a horror that then begins to hunt HER. It’s an energetic and expressive combination of watercolor, pen, and digital coloring that draws the reader in and escalates the tension of the chase. 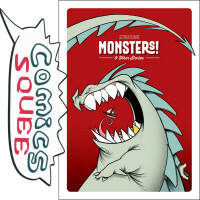 Available from Study Group Comics. 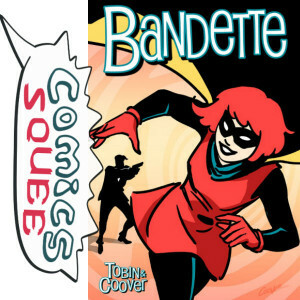 Bandette is the cheerful tale of a masked master thief and her street urchin accomplishes, who aren’t very urchin-ey for the most part. She blithely ignores the plot’s attempt to embroil her in it’s drama. It’s a clever, fun, and beautiful comic set in France. Created by the team of Paul Tobin (writer) and Colleen Coover (artist). Didi works at our friendly local comic shop, where Chriss goes to get all her graphic novels and indie comics. So when he joined us to squee about the silent comics of Gustavo Duarte it was a thing Chriss had to have. We love us a good silent comic, and Gustavo’s art is so expressive and well paced. Just delightful cartooning. Seriously, Chriss laughed out loud at Starbucks reading this book. We think it’d be safe to say this indie comic is the mic drop of superhero stories. April needs issue 11. Let us know if you can hook her up.